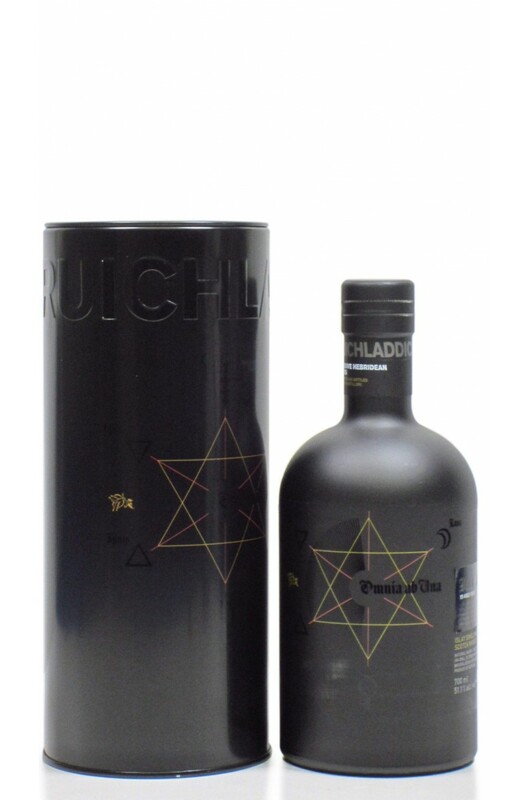 The 4th release of the highly sought after Black Arts series of Bruichladdich. This is matured for 23 years and is made using the distillery's unpeated malt. Much of the maturation has been in sherry cask but the mix of barrels used is kept a mystery. One of the richest and most complex releases from Bruichladdich. Aromas (without water) The aromas rise and mingle beautifully creating an olfactory symphony in your hand. Little notes of rich, plump, crystallised grapes flirt over heavier notes of honey. Go deeper and you will find the tang of lemon and lime - This is the DNA of our Bruichladdich spirit; the terroir of ancient peat lands and Islay’s exposed coastline, living, breathing proof that magic really does exist. Palate (without water) Without water the first thought that enters my head is wow! This is strong and my cheeks flush, my eyes water but my heart is in heaven. Its so, so mellow and mature and yes, you can find all of the aromatics on the taste buds and more!!! I get chocolate and coconut, tangerine and papaya and a wonderful infusion of barley sugar with a pinch of cinnamon and aniseed. Completely mesmerising. Finish: Grilled peach and apricot sprinkled with demerara sugar, quite outstanding. Additional Information Un-chilfiltered and colouring-free. Made entirely from Scottish barley, this is the classic unpeated style of Bruichladdich bottled at 5..